Online learning, being a conspicuous trend today, has brought a paradigm shift in the education sector. As a consequence of the changing preferences of students, and the eagerness of teachers and the educational institutions alike, EdTech has been making rapid strides. According to an EdTechX Global and IBIS Capital report published this year, the EdTech market is estimated to reach $252 billion by 2020. That said, the disruption brought in by technologies such as virtual reality, augmented reality, gamification, and artificial intelligence, has been instrumental in enriching the overall learning experience. Additionally, learning management systems and Massive Open Online Course (MOOC) platforms conducive with the mobile-first strategy have further streamlined the pedagogy of academic content. One major breakthrough has been the online dissemination of academic instructions and creation of proprietary courses which has spurred seamless student-teacher interactions for a holistic inculcation of knowledge anywhere, anytime. While, at the same time, cloud computing has helped educators increase their reach without bearing the burden of expenditure and reducing the cost for consumers. 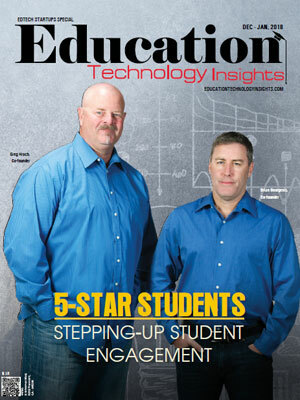 Transparency in grading students is yet another milestone achieved by most EdTech companies. Today, the dynamism surrounding the EdTech domain has sparked the curiosity of several educational institutions that are looking to deploy best-in-class technology to assist students. In the last few months, we have analyzed scores of EdTech startups and shortlisted the companies that are at the forefront of tackling challenges in the education space. A distinguished panel comprising of CEOs, CIOs, and analysts including our magazine’s editorial board has selected a list of companies that exhibit innovative technologies and approaches. This list provides a look into how education technology can be leveraged, to gain a comprehensive understanding on how to incorporate them into the systems for optimizing the learning process. 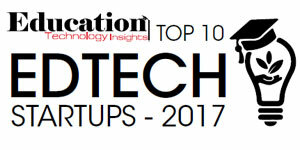 We present to you Education Technology Insights’ “Top 10 EdTech Startups – 2017”.